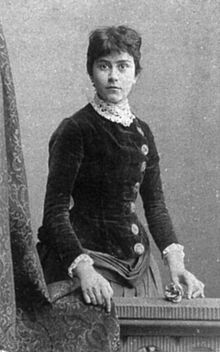 Else Lasker-Schüler (February 11, 1869 – January 22, 1945) was a German poet and playwright famous for her bohemian lifestyle in Berlin. She was one of the few women affiliated with the Expressionist movement. Lasker-Schüler fled Nazi Germany and lived out the rest of her life in Jerusalem. Schüler was born in Elberfeld, now a district of Wuppertal. Her mother, Jeannette Schüler (née Kissing) was a central figure in her poetry, and the main character of her play Die Wupper was inspired by her father, Aaron Schüler, a Jewish banker. In 1894, Else married the physician and occasional chess player Jonathan Berthold Lasker (the older brother of Emanuel Lasker, a World Chess Champion) and moved with him to Berlin, where she trained as an artist. On August 24, 1899 her son Paul was born and her first poems were published. She published her first full volume of poetry, Styx, three years later, in 1902. On April 11, 1903, she and Berthold Lasker divorced and on November 30, she married Georg Lewin. His pseudonym, Herwarth Walden, was her invention. Lasker-Schüler's first prose work, Das Peter-Hille-Buch, was published in 1906, after the death of Hille, one of her closest friends. In 1907, she published the prose collection Die Nächte der Tino von Bagdad, followed by the play "Die Wupper" in 1909, which was not performed until later. A volume of poetry called Meine Wunder, published in 1911, established Lasker-Schüler as the leading female representative of German expressionism. After separating from Herwarth Walden in 1910 and divorcing him in 1912, she found herself penniless and dependent on the financial support of her friends, in particular Karl Kraus. That year, she met Gottfried Benn. An intense friendship developed between them which found its literary outlet in a large number of love poems dedicated to him. In 1927 the death of her son sent her into a deep depression. Despite winning the Kleist Prize in 1932, as a Jew she was physically harassed and threatened by the Nazis. She emigrated to Zürich but there, too, she could not work. She traveled to Palestine in 1934 and finally settled in Jerusalem in 1937. In 1938 she was stripped of her German citizenship and the outbreak of World War II prevented any return to Europe. Her Bohemian lifestyle and eccentric fashion made life in Jerusalem difficult. She tended to spend whatever money she had all at once which made her go for days without food or shelter. Heinz Gerling and the poet Manfred Schturmann came to her aid. Gerling opened a bank account for her and arranged for regular payments to cover her expenses whereas Schturmann edited her work and helped with her dealings with publishers. After her death Schturmann became the trustee of her legacy and during the 1950s and '60s dealt extensively with publishers in East and West Germany, Switzerland and Austria who wished to publish her works. In 1944 Lasker-Schüler's health deteriorated. She suffered a heart attack on January 16, and died in Jerusalem on January 22, 1945. She was buried on the Mount of Olives. Lasker-Schüler wrote her first and most important play, Die Wupper, in 1908. It was published in 1909 and the first performance took place on April 27, 1919 at the Deutsche Theater in Berlin. A large part of her work is composed of love poetry, but there are also deeply religious poems and prayers. Transitions between the two are often quite fluid. Her later work is particularly rich in biblical and oriental motifs. Lasker-Schüler was very free with regard to the external rules of poetic form, however her works thereby achieve a greater inner concentration. She was also not averse to linguistic neologisms. A good example of her poetic art is her 1910 poem "Ein alter Tibetteppich" [de] (lit. "An old Tibetan rug"), which was reprinted many times after its first publication in Sturm, the first of these being in Fackel. Stars that courted each other across the length of heavens. There is a memorial plaque to Else Lasker-Schüler at Motzstraße 7, Berlin-Schöneberg, where she lived from 1924 to 1933. Part of this street was renamed Else-Lasker-Schüler-Straße in 1996. In Elberfeld in Wuppertal there is now a school named after her (The "School without Racism"), and a memorial stele was erected on Herzogstraße, Wuppertal. The Else-Lasker-Schüler-Society was founded 1990 in Wuppertal by journalist Hajo Jahn. In more than 20 international symposias from Breslau to Tel Aviv, the works of the poet were introduced and discussed in relation to the relevance for the presence and future. 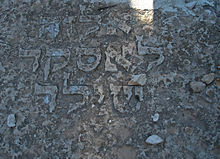 In Jerusalem, there is a small street named for Else Lasker-Schüler in the neighborhood of Nayot - Rehov Else. Perched on a ridge in the Jerusalem Forest, very close to the Kennedy Memorial (Yad Kennedy), was a sculpture in her honor resembling a slender tree trunk with wings. It was placed there in 1997, and was stolen, probably by metal thieves, in July 2007. In 2007, her final days in Jerusalem were commemorated in the BBC radio play My Blue Piano by the Scottish playwright Marty Ross (Radio 4 2007) which combined the facts of her dying days with the fantasies of her inner life. Mein Herz – niemandem! (1997) by Helma Sanders-Brahms features Lena Stolze as the poet. It climaxes with the paradox of her deep bond with Gottfried Benn, a physician and poet who became a Nazi, and publicly supported the Nazi regime even as Lasker-Schüler was forced into exile. After Every War: Twentieth-Century Women Poets. Eavan Boland (translations and introductions). Princeton University Press. 2004. ISBN 9780691117454. OCLC 424103356. CS1 maint: others (link) Translated poems from nine poets including Lasker-Schüler. My Blue Piano. Brooks Haxton (translations and notes). Syracuse University Press. 2015. ISBN 9780815634201. OCLC 922220048. CS1 maint: others (link) Bilingual edition. My Heart. Sheldon Gilman and Robert Levine (translation); Jakob Hessing (introduction). Amsterdam: November Editions. 2016. ISBN 9789492027078. OCLC 964452933. CS1 maint: others (link) Translation of the novel Mein Herz. Concert. Jean M. Snook (translation). University of Nebraska Press. 1994. ISBN 9780803229006. OCLC 742589376. CS1 maint: others (link) Translation of Konzert. Three plays : Dark river, Arthur Aronymus and his ancestors, and I and I. Jane Curtis (translation) and Inca Molina Rumold (introduction). Northwestern University Press. 2005. ISBN 9780810121980. OCLC 58985776. CS1 maint: others (link) Translations of Die Wupper, Arthur Aronymus : die Geschichte meines Vaters, and Ich und ich: Ein nachgelassenes Schaauspiel. ^ Ziffer, Benny (July 16, 2010). "Kiss of July". Haaretz. Falkenberg, Betty (2003). Else Lasker-Schüler : A Life. McFarland. ISBN 9780786414604. OCLC 237796728. While there are several biographies of Lasker-Schüler in German, this volume is apparently the first book length biography written in English. Lipsker, Avidov (2010). Red Poem\Blue Poem: Seven Essays on Uri Zvi Grinberg and Two Essays on Else Lasker-Schüler. Ramat-Gan: Bar Ilan University Press. Illies, Florian. 1913, The Year Before the Storm. . History of Europe in 1913; Lasker-Schüler is noted. Schwertfeger, Ruth (1991). Else Lasker-Schüler : Inside this Deathly Solitude. Berg. ISBN 9780854961771. OCLC 23869141. This book includes a short biography as well as translations and interpretations of Lasker-Schüler's poetry. This page is based on the Wikipedia article Else Lasker-Schüler; it is used under the Creative Commons Attribution-ShareAlike 3.0 Unported License (CC-BY-SA). You may redistribute it, verbatim or modified, providing that you comply with the terms of the CC-BY-SA.